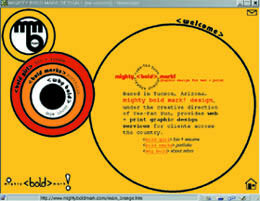 Former site design for mighty bold mark! design. Click on the image to view more pages.